While fun to ride, scooters can be dangerous. Especially in a major city like Baltimore and the District of Columbia. New companies like Bird and Lime have placed their product on the streets and sidewalks of major cities across America. And while these new forms of transportation can be convenient, they can also be dangerous. 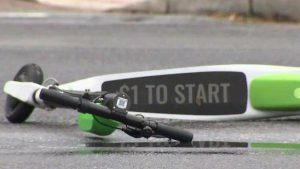 Recent studies have shown that electric scooters can be as dangerous as motorcycles. Further, these scooters are not only dangerous to the people who ride them, but to pedestrians as well. If you have been injured by a scooter, you may have a viable injury claim.